The one-of-a-kind shop features a large variety of top-notch meats, cheeses, balsamics, wines and more. When I go to Rome, I have a routine. After I get off the plane and drop my bags at my hotel, I head straight for the Trevi Fountain to toss a coin and make a wish (actually, I'm greedy and superstitious, I always make three). I then navigate the cobble streets to get Rome's best cappuccino near Piazza Navona. After sufficiently caffeinating myself, I head for my favorite shop, Volpetti. Impressed with a very large wheel of delicious cheese. From the moment I stepped foot into Volpetti, I knew that this was someplace special. Forget going to Eataly, Volpetti is second to none. 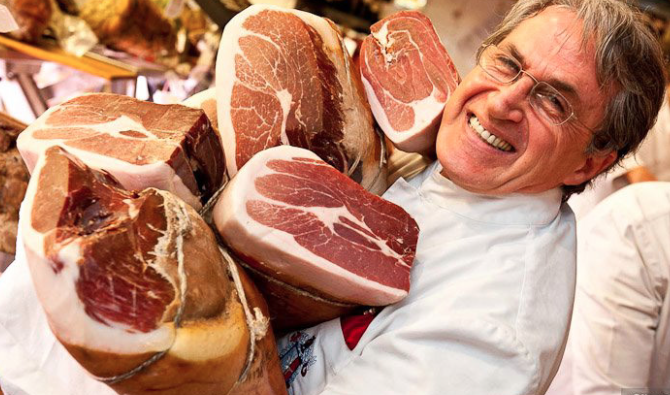 This Italian specialty store or "gastronomia" is decorated from top to bottom in the worlds finest meats, cheeses, wines, balsamics, olive oils. Every time I visit Rome, my trip requires at least one visit to Volpetti. It is truly unique. Walking into Vopetti, will immediatley waken your senses. The smell alone is enough to make your mouth water as you take your first steps inside. In a shop with so much to offer, it would be easy to become overwhelmed when choosing products, so I have some advice for first times. Sample Everything! 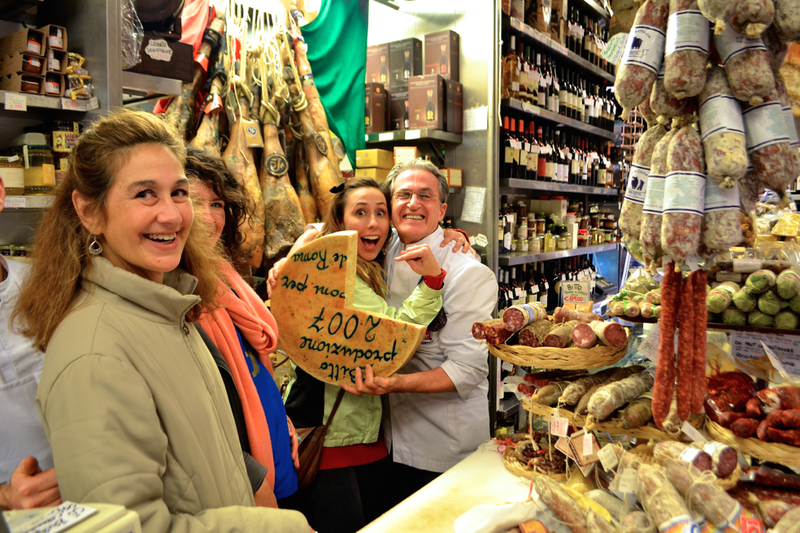 The staff will happily offer you to try so many meats, cheeses, olive oils, and wines that your head will spin. The only problem is making decisions on what to take home, because it is all delicious. Getting to Volpetti is easy. First, get on the blue metro line and get off at the Piramide stop. Walk a few blocks passed the Pyramid of Caius Cestius on Via Marmorata and it will be on your left. Hours: 8am-2pm & 5pm-8:15pm M-F. Saturdays 8am-8pm. Closed Sundays.